Are you a business owner stuck at a certain revenue level? Struggling to build the right team? 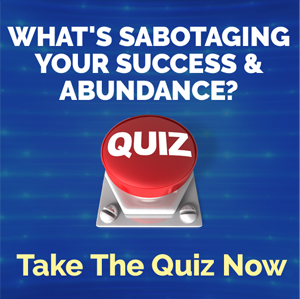 Do you constantly feel overwhelmed and consumed by all you have to do? 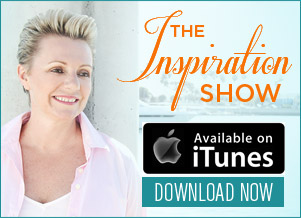 If you’ve answered yes to any of these questions, then join celebrity business strategist, Allison Maslan, author of “Scale or Fail: How to Build Your Dream Team, Explode With Growth, and Let Your Business Soar”, on this eye-opening episode of The Inspiration Show to discover the simple solution to these challenges. 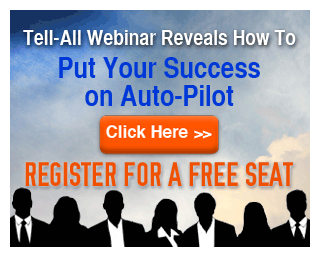 Seriously, if you’re ready to soar your business, then watch this episode now! NL: Hi everyone. My name is Natalie Ledwell and this is The Inspiration Show. Today on the show, I have a very good friend of mine and special guest who has written a new book called “Scale or Fail” and it’s all about how to build your dream team, explode your growth, and let your business soar. But before I go in to introducing my special guest, I just want to remind you that once the show is over, don’t forget to click the link below this video so you can download the free ebook version of my bestselling book “Never In Your Wildest Dreams”. So let me introduce my very good friend Allison Maslan. How are you Allison? AM: Hi. I’m doing fantastic Natalie. So excited to be here with you. NL: Yes. I am excited to be sharing your knowledge with our audience and our community. Allison and I have been friends for a number of years now and she is who I want to be when I grow up in business. (Laughter) She is an absolute legend, not just creating business but how to scale it so that you can really leverage everything from your life to your money to your time to everything. So why don’t we start first, Allison, with a little bit of your story and your background and how you got into being such a successful entrepreneur. AM: Well, I grew up in an entrepreneurial family and my father built a large clothing chain in the United States and I used to follow him, Natalie, from store to store when I was a kid and I loved his passion and his excitement for business and he was super creative, very innovative. And the message I got when I was little was if you want something go create it yourself. And so when I was 19 I started my first business. I was doing poems. Personalized poems for birthdays and anniversaries and I told my dad, “Dad, I’m going to be a poet, I found my calling” and he’s like “That’s so awesome honey, but did you know poets don’t really become know until they’re dead.” And I was like, “Dad, you are such a buzzkill.” And so anyway, I moved on beyond the poet business and ended up evolving that first business into a full service advertising and public relations firm by the time I was 25. Totally flying by the seat of my pants and I know you know what I’m talking about Natalie. No idea what I was doing but I just kept saying yes and in figuring it out along the way and that’s really how my entrepreneurial path started and just being willing to jump in and even though I didn’t really know exactly what I was doing but I was willing to learn. NL: Yeah. Now you’ve had, what, 10 different business that you’ve built up to scale? So when you’re talking about scaling, what are we actually talking about here? AM: Well, scaling, the word scaling, what it means is to duplicate your process and then multiply that impact to many more people because if you’re the one delivering the product or service, there’s only so many hours in the day, there’s only so much bandwidth and you’re going to fall apart. And this is where so many business owners get stuck and it’s what happened to me in that first business. I was micromanaging. I didn’t know how to scale, I didn’t know how to delegate and I thought it all had to be about me and I literally fell apart from exhaustion. I was depressed and stuck. Like so many business owners find themselves. And so after that crash and burn basically, I took a year and I really studied, you know, what does it take to scale a business. I studied companies like, some of my clients at the time, Ben and Jerry’s and Supercuts, and learned the underpinnings of building a strong foundation and that’s how I went on and built those other 9 companies because I learned to take myself out of the equation and find a way to duplicate and multiply my revenue streams where they weren’t dependent on me. NL: Yeah. Yeah, what’s really interesting, we were just talking about how recently I was in Africa and I met one of the most successful business people in Liberia, in Monrovia, and he was like, you know, “Do you have any advice?” and I’m like “Yes, don’t be a magic”, you know, don’t be the one that the business relies on because then you’ll become the bottleneck. So I think what you meant here is being able to systemize your business so that it runs like clockwork without you. AM: Definitely, and you know, but this is where so many business owners get stuck Natalie, and really I found such a pain point as I’m putting this book out there and talking to so many business owners, they’re like “Oh my God, I need this message because I am working 24/7” and I think people here right now, hustle, hustle, hustle, you know, work night and day, but that’s not sustainable, it’s absolutely not sustainable and you’re going to really hit a ceiling on what you can earn. NL: Yeah. So when we’re talking about business, is this, what kind of, what size of business? Would someone benefit from reading this book. AM: You know what, I think anyone that is looking to start a business or if you already have an established business and you want to take it to the next level. Honestly if you understand the components of scaling and I literally put a step-by-step road map in the book, then you’ll set your business up from the get-go in a very different way. Even if you have a business then that’s more established even been in business 10, 20 years and you’re at that 7 figure, multiple 7 but you just can’t over that wall, what got you here will not get you there. So you have to reconstruct your business from that higher level and I show you how to do that, so. NL: Yeah. Because there are different stages that a business goes through right? Like I know, I look at Mind Movies and who we were, you know, the 3 of us working from our bedrooms 14 hours a day, to the team and the machine that we have now. Like, obviously, there’s different stages that a business goes through right? AM: So I call it 5 phases of building a team-managed company. And I can run through those like in 2 minutes if you like. So phase 1 I call the Seeker, the solo-preneur, you know, that’s like when you moved to the States and you’re like I’ve got this passion, I’m going to put it out there and you’re doing everything. Then you move in to phase 2, I call it the pioneer. And that’s where you’re forging this new path, you’re really get your hands dirty. You might have a small team like an assistant, a bookkeeper, a marketing person, but you’re still approving everything going in and out of your company. Phase 3 I call the Ring Leader because it’s a circus. You start to build teams. It gets a little chaotic. You’ve got an admin team, maybe a sales team, maybe a customer service team, marketing team, but you’re still trying to figure it out, you don’t always have the right people on the right place of the bus. And you’ve got employees that might be frustrated or disengaged but it is part of the process. But it’s important to note that a lot of business owners die here. You don’t learn how to move in to phase 4 which is the co-creator. Moving from being a boss to a leader. Telling people what to do, inspiring them with the vision and getting them on board to own it and to ask those important questions like how do we increase profits. How do we have a better customer experience. And they’re stepping up as leaders which gives you, then you can start letting go which is scary for business owners, very scary, but you have to show them that you trust them and then phase 5 which is why we all started in the first place is the visionary. And that is where you really can step back and you just continue to put your creativity out there. Maybe start something new, but you have to learn to shut your mouth and know that you team has got it. NL: Yeah. Absolutely. And so this formula works across any industry? Like any kind of business? AM: Absolutely any type of business. I mean, in my company now, Pinnacle Global Network, we mentorbusiness owners all over the world. And you know, whether it’s a staffing company, a construction company, a digital information marketing company, this works all the way across the board and you don’t have to build a big team either to scale. You know, a lot of times, people think that’s the case but in the book I outline 17 scale strategies and you can just multiply your revenue and have that in a more automated platform. I don’t recommend doing all 17 scale strategies, just pick 1 or 2 for your company. I say that because you know, entrepreneurs are like I have to do it all. But really, it’s not about working harder. It is about putting those smart scale strategies in place, 1 or 2 that is going to multiply your impact. NL: Right. Is there like you know, I know that you are laying out a fantastic plan in the book and it’s very step by step and easy to follow, but are there shortcuts? Like, is there certain ones that if we go into the book and go right in to this one and this one first then that’s going to help to fast track the growth factor? AM: So creating things like a membership program or a certification program, having a monthly recurring revenue even if it’s a small amount, the valuation of your company goes way up. So let’s say you want to sell your company in 5 years, if you have a monthly recurring revenue, whoever is buying your company is like “Wow, this is great. I have monthly money already coming in.” Instead of buying a company that’s one and done like they don’t know if your costumers are going to stay or not. And so those are not that, I mean it takes a little time to put this together but this is something that can flourish for years. A certification company take what your genius is and you train other people in your industry and then you charge them to get certified under your brand or you can even license it. And this is something that you can create under 6 months and that can scale quickly. Plus, here’s the beautiful thing that I think, besides multiplying your wealth, you’re able to help so many more people. I built a homeopathic college in 1999 because there were just not many homeopaths, there were 3 in all of San Diego including myself and I thought, “How can we really help people if it’s just the 3 of us.” So I built this certification program and it grew so quickly and graduated literally hundreds of homeopaths. It still runs today. And so now all these people are out helping people you know, get healthy. NL: Yeah. And you are talking about also thinking a little laterally but you know, if you have an entrepreneurial mind and you’re resonating in that frequency, then often you have a lot of opportunities coming your way. (Laughter) So I think that learning how to say no is a bit of an art form, don’t you think? AM: Oh yes, oh yes. Definitely for those shiny object, ADD entrepreneurs, like myself, you know, you’ve seen I’ve had many different businesses so I get excited but I will say, it’s not that you can’t do all those things, you just can’t do them all now, all at the same time. So just pick a path and dive deeply with that. Stay the course. You know, we get impatient with things not working right away and I’m sure, you know, with Mind Movies it’s something that you guys have had to tweak so many times along the way and that’s really the key is to dive deeply and stay the course and then you will see it flourish. I mean, we’re in our 9th year in Pinnacle Global Network now and I just feel like we’re still in our emphasis stages, there’s so much more that we can do. NL: Now what I love about you and you can see this is actually on the cover of the book, is that you were a trapeze artist and you have a trapeze set up in your backyard which is so cool. So what are the similarities that you see between, you know, doing like the trapeze and all the things that you need to know about that that you apply to business. NL: Yeah. I love that. And so my last question is, can any business be scaled? AM: Any business can be scaled but you may have to change your model. And that idea of what got you here will not get you there. You do, like if you’re a one to one business owner and dollars for hours model, that is not scaleable. But you’ve got to start somewhere and so the book actually shows you how to turn your model in to a scaleable model but yes, absolutely, any industry, you know, anything that you’re putting out there, product or service, if there’s a demand for what you have or if you want to create the demand, it’s absolutely scaleable and it will change your life. NL: Wonderful. Darling, well thank you so much for your time. So where can we send people to get their hands on the book and to get in contact with you? NL: Wonderful. Well, thanks again Allison. Awesome to chat with you, as always. AM: It’s always fun Natalie. Thank you so much for having me. NL: Wonderful. So guys, if you are watching this show, don’t forget to either click the link below the video or the banner to the side to go directly through to Allison’s website so you can get your hands on the book and all those goodies that go along with it. And let’s share this video, let’s get the word out by clicking the Facebook and the Twitter share buttons on this page. And after all of that is over, don’t forget to click the link below that so that you can download the free ebook version of my bestselling book Never In Your Wildest Dreams. So until next time, remember to live large, choose courageously, and love without limits. We’ll see you soon.